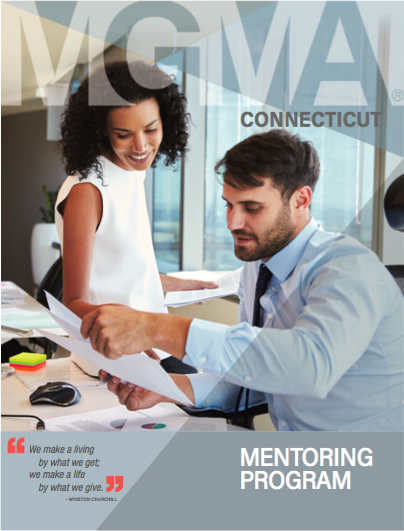 For CMGMA, mentoring is an integral part of providing value to members, matching experienced administrators with newer administrators for one-on- one help with everything from career development to working through a new position or project. Experienced administrators can learn from newer members, as well. Mentoring is a joint venture that will benefit both Mentors and Mentees. All interested CMGMA members are encouraged to be a part of the Mentoring Program. In addition, all members are strongly encouraged to utilize the online community/List Serve. This is the best way to get quick, detailed answers to immediate questions. In the online community, you’ll likely gain feedback from multiple members with varying perspectives and experience. Members o er valuable guidance and freely share their resources. Any member of CMGMA in good standing may participate as either a Mentor or a Mentee. You must, however, be willing to commit time to engage in the coaching relationship through phone conversations, email, and/or in-person meetings. To be a Mentee, you must be interested in growing in your career and taking on new projects. To be a Mentor, you must have experience in healthcare management and be eager to share your knowledge with colleagues. All participants must engage in feedback, be open to new perspectives and share ideas that encourage growth. Applications of Mentors and Mentees are reviewed and matched based on a variety of factors. Please see the attached application below for details. Once the match is confirmed, mentoring partners should connect as soon as possible to establish expectations of the time and direction of the mentoring process. Please click the brochure below to view a handbook for defining your roles and preparing for meetings. In general, this is your how‐to guide for making the most of your mentoring partnership.